When the tragic story of Trayvon Martin broke a little over a week ago, I tried to keep my distance from it. I’m embarrassed to say i stayed away because it was the easy thing to do. Stories of the untimely deaths of young black men have become so commonplace in America, at some level I’d become desensitized to it, or so I thought. But thanks to the efforts of those like Michael Baisden and Rev. Al Sharpton, this story has now gone to the top of the mainstream news. And the release of the 911 tapes on Monday poured gasoline on the already blazing story. Only after watching Sharpton’s Politics Now I began to come to grips with the sad reality of this story. If listening to the harrowing 911 tapes and listening to a father speak about his dead 17 year-old son weren’t enough, what really connected with me were the pictures. A toddler in a graduation cap. Two brothers playfully hugging each other. A high school football player beaming in his uniform. Without having ever met the young man, I could easily identify with him. It really hit home that this could have been one of my brothers or cousins. Or it could have been me. Thinking back on my initial downplaying of the story, I’m not only embarrassed– I’m disturbed. There was a time when all Black men knew that an injustice against one of us is a threat to us all. I’m afraid that’s not the case now. We have been so lulled to sleep by our degrees, our careers, our luxuries, that we turn our heads when things like this happen. While these achievements definitely warrant respect and pride, we must not allow our personal triumphs to distance ourselves from what binds us together. Martin was no juvenile delinquent. By all accounts, he was a good respectable kid going out for a snack while watching the NBA All-Star Game. George Zimmerman didn’t know that and didn’t care. All he saw was a strange black man in his neighborhood looking at him. That was enough justification for him to follow, confront and ultimately kill the young man with apparent impunity. Any actions short of bringing Zimmerman to justice may as well amount to a declaration of “open-season hunting” of Black men. Any Black man who ignores the blood cry from Martin’s body is simply out of touch with reality. No you don’t have to go buy a RIP Treyvon shirt or start a rally. 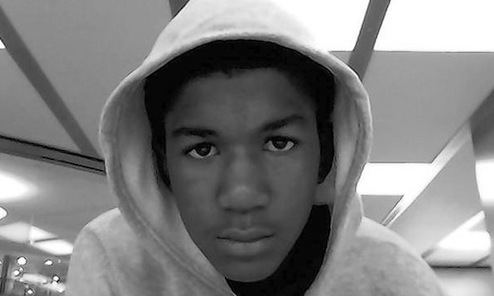 To get a reality check simply imagine your face or the face of your brother or son in the place of Treyvon’s. I dare you to change the channel. I won’t again. “…as for racism, I only suggest the entire story has a “racial tenor”. I don’t know if Zimmerman is an actively racist person, but I agree with suggestions that racism, even if only subconsciously, fueled his suspicions and may have caused him to act more aggressively than he otherwise would have.